If you like songs about love, loss and bad people, you might give these 10 a listen. 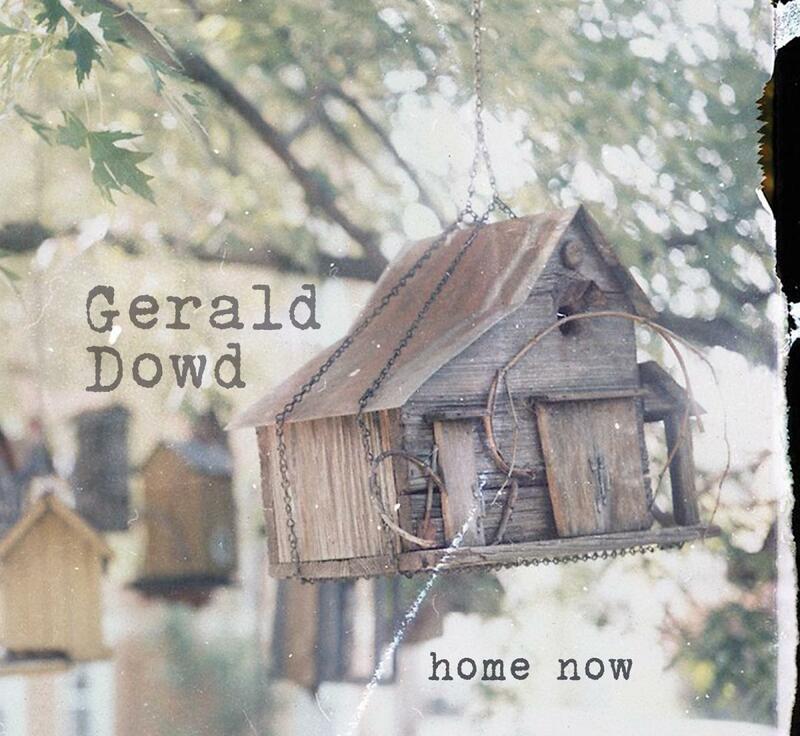 Over the last 20 years, Chicago drummer/singer GERALD DOWD has played, toured and recorded regularly with the cream of the Chicago music crop, including Robbie Fulks, Nora O'Connor, Kelly Hogan, Chris Mills, Jane Baxter Miller and kids music superman Justin Roberts---the guy's the freaking Zelig of roots drumming in this town. If you've been to a show by any of these people in Chicago, it is a sure thing you've seen his affable visage banging away with an understated versatility that's so good, you might not even notice. And the first time we heard him sing? Good gravy, what a treat. Here, he steps out from behind the kit with a fistful of original songs on his first full-length album, Home Now, and it's about time. Recorded in the summer of 2014 at Chicago's own Kingsize Sound Labs, under the meaty yet delicate hands of engineer John Abbey (Funeral Bonsai Wedding, Emily Hurd), and produced by two-time Grammy-nominated producer Liam Davis (Justin Roberts, Frisbie), the album features guest appearances by many of the musicians with whom Mr. Dowd has played, and continues to play. In addition to Robbie and Nora, Ryan Hembrey (Chris Mills), Casey McDonough (NRBQ), Brian Wilkie (Hoyle Brothers) and two Scotts (Tipping and Stevenson) are featured on the album, as well as the earnestly child-like guitar playing of Mr. Dowd. Melodies rule this album, and many moments are flush with acoustic instruments and multiple harmony work that reflects the warmer, earlier period of the Band.